Find your Partner ID and Partner Key. 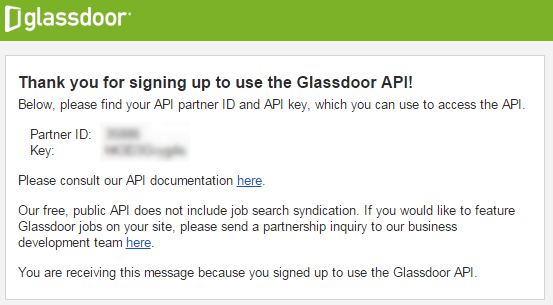 Note: This guide assumes that you already have an active Glassdoor account. To create a data source using Glassdoor, go to the Connector Gallery page in Klipfolio and select Glassdoor. You will need your Partner ID and Partner Token. Under Name, type the letter q. Under Value, enter a company name (in our example, IBM). Under Type, select Query from the drop-down list.